Scientists zeroed in on the gene responsible for multiple sclerosis, a disease in which the body's immune system attacks the protective sheath around nerve cells to the extent of interfering with nerve communications. A gene called Tcf4 was found to activate biochemical reactions (the Wnt pathway) that delayed the sheath's repair, said the study in the July 1 issue of Genes and development. A prolonged delay made the body incapable of growing the sheath back, leading to progressive deterioration of the nerves. Even as the recent sequencing of the chimpanzee genome brought to light that humans and chimps are 96 per cent genetically identical, a team studied 63 physical characteristics common to hominids and concluded humans descended from orangutans. Humans were found to share 28 characteristics with orangutans and only two with chimps. The study, viewed sceptically by biologists, is in the June issue of the Journal of Biogeography. 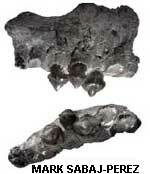 Researchers studied the jawbone of a fossilized fish that was found in the Argentinian waters. It bridges the gap between the flesh-eating piranha and its herbivorous kin, the pacus, both found in South American rivers. Piranhas have a single row of sharp-edged teeth. The pacus have two rows of square-shaped teeth. The fossil fish, Megapiranha paranensis, was found to have a single row of sharp teeth arranged in a zig-zag manner, making it the intermediate between the pacus and the piranhas, said the study in the June issue of the Journal of Vertebrate Palaeontology. A study reiterates the importance of conserving corals; they tend to grow closer home. A team sampled dna from coral reefs in the Indian Ocean and found that most of the corals in the same reef were kins. This is despite the fact that they lay their eggs in the moving water and the young coral could very well take root elsewhere. The study is out in the May issue of Evolutionary Applications. Ghrelin, a hormone released by the stomach to stimulate hunger, is also the one that induces alcohol addiction, discovered a team. The scientists treated mice with ghrelin and found it increased their alcohol consumption. When the hormone's action was suppressed, they no longer craved drink. The study, reported in the June 29 issue of the Proceedings of the National Academy of Sciences, holds hope for the invention of new ghrelin-suppressing drugs to bring relief to alcohol addicts. Not all strains of the cholera-causing bacteria, Vibrio cholerae, are pathogenic. Researchers now have a method to distinguish between the various strains. The team used specific repetitive dna segments in the genome. They marked short dna fragments of a strain with dyes and compared it with other strains. As each bacterial strain differs in size and pattern of the repeats, it was easy to distinguish them. The study was released in the June issue of Applied and Environmental Microbiology. Aging honeybees can become younger by switching their social role. A team forced a group of forager bees, the oldest, to revert to nursing tasks of younger bees in the hive. The foragers adapted to the new role efficiently. Presented in the July 1 annual meeting of The Society of Experimental Biology, the study may help find anti-aging solutions. A tentacled snake has a way of luring its prey right into its mouth, said a study reported in the June 18 issue of the Proceedings of the National Academy of Sciences. The snake, recognizable by its pair of tentacles, is found in the Southeast Asian waters. While hunting, it contorts its body in a J-shape with the head turned towards the body. In this position it creates a ripple in the waters and waits motionless. As the fish senses the disturbance, it runs from the region of threat. But all it really does is run away from the snake's body and into its mouth--something the snake has predicted already. Zoologists assessed 48 birds, 14 reptiles, six mammals and one amphibian native to the mangrove forests of Asia and Australia. They found 40 per cent in danger of extinction. The vertebrates have evolved special organs to adapt to life in mangrove forests. Due to coastal development, pollution and rising sea levels, the world is losing its mangroves by two per cent every year. At this rate the study, in the July issue of BioScience, said mangroves will disappear in 100 years. So will its fauna.